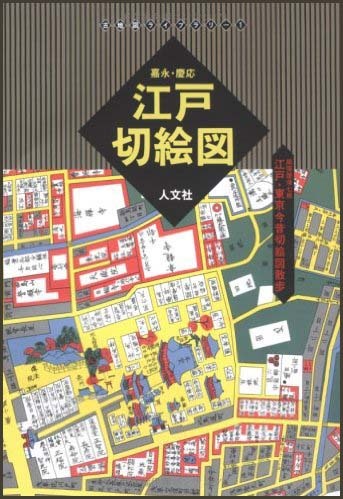 They were very detailed maps with most roads and the location of the 大名屋敷 Daimyo residences given. 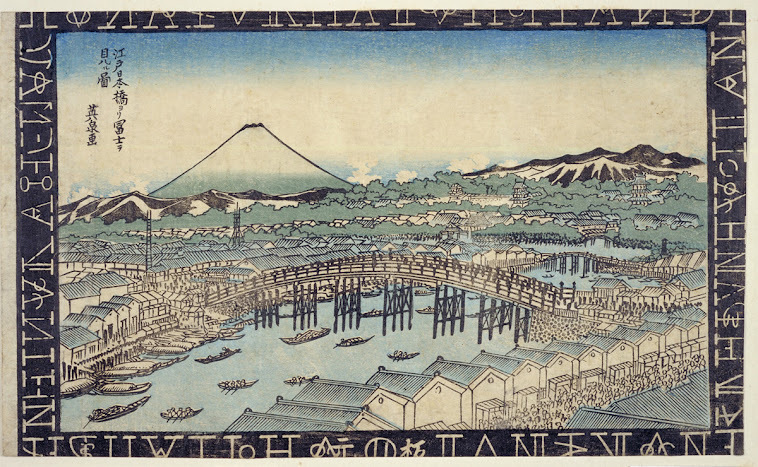 The first Kirie-zu was printed in 1755 by 吉文字屋　Kichimonjiya. Until the year 1775 he had produced eight detailed maps. 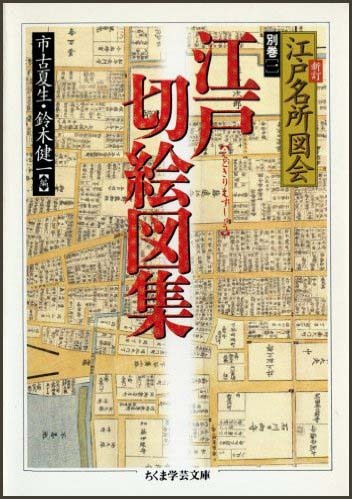 By 1846, the shop of 近江屋五平 Omiya Gohei sold 31 maps. He produced maps in three colors. 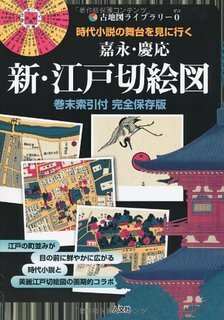 produced the 尾張屋版 Owariya Edition (金鱗堂版). 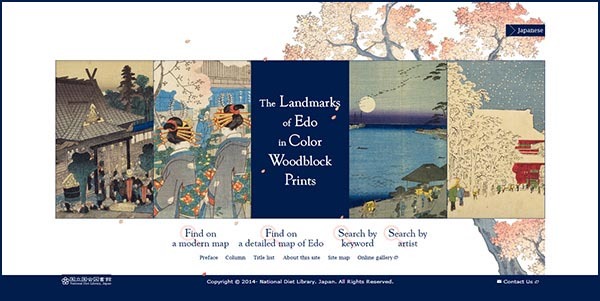 He used five colors and the maps looked almost like 錦絵 Nishiki-E prints. 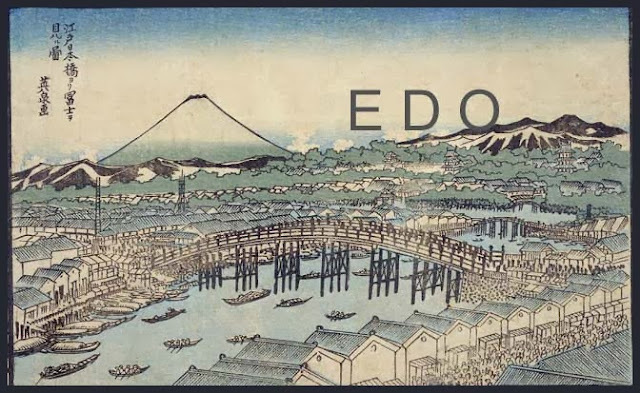 Click Blue pin or "Landmark name", and you can see the description and nishiki-e thumbnail page of the place. Click Yellow pin or "Place name", and you can see nishiki-e thumbnail(s) about the place drawn on nishiki-e.
. kiri-e, kirie 切り絵 , kirigami 切り紙 cut-out pictures.